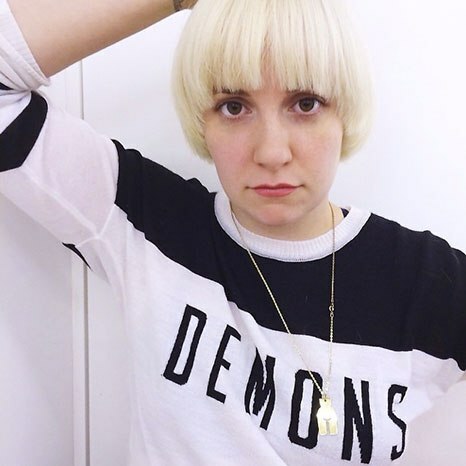 ANNOUNCEMENT: LENA DUNHAM HAS A NEW HAIRDO! All right, we know we’re not talking about the most important things in society by discussing celebrity hair, but we HAD to show you Lena Dunham’s beautiful new cut and color. Lena’s chic new ‘do also reminds us of the amazing Dorothy Hamill, Olympic Figure Skater, of 1976 hair fame. You can read more about Lena’s new style at Lucky Magazine, and on People.com. Lookin’ good, Lena!